Our work for Face Off Unlimited – a theatrical production company/improv troupe/creative services house based in Astoria – involved three very different sites in one project. 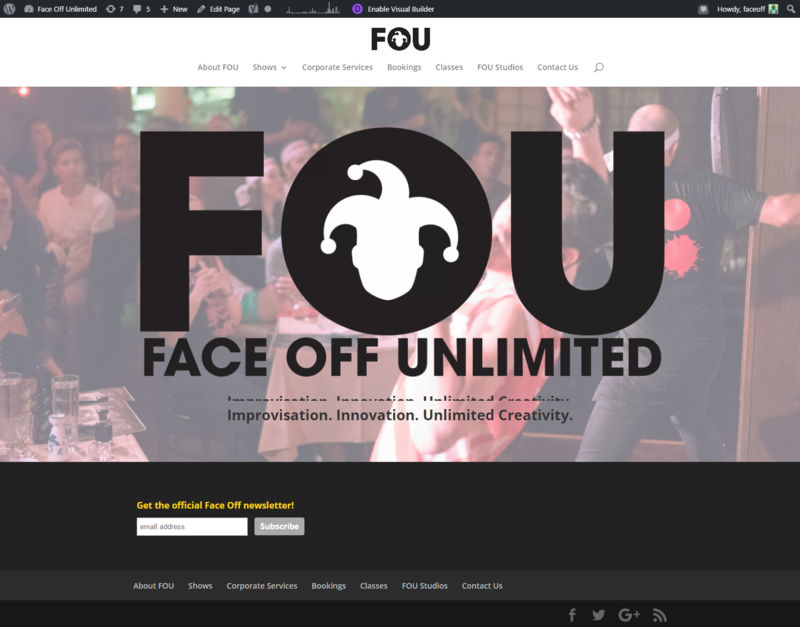 The main, corporate Face Off Unlimited site showcases FOU’s talent, shows, and the breadth of their content offerings. The new FOU Studios site highlights their production house. And we also added a new Group Sales function on BATSUlive.com – creating new business opportunities for one of FOU’s longest-running and most-successful shows.